informant jared kushnersteemCreated with Sketch. The move comes after the White House struggled to contain the fallout of a controversy surrounding Rob Porter, who served as Trump’s staff secretary but was forced to resign this month after he was accused of domestic violence by both of his ex-wives. The White House claimed to be shocked by the allegations against Porter. During the scandal, it was revealed that Porter handled sensitive and classified documents for more than a year despite lacking a permanent security clearance. The FBI said it had raised red flags during Porter’s background check, drawing further scrutiny on an apparent lack of regard by the White House for the security clearance process. Kushner’s security clearance has long been a subject of controversy, in light of revelations that he failed to disclose dozens of financial holdings on his security clearance forms as well as dozens of contacts with foreign leaders and officials. Among Kushner’s omissions was a meeting in December 2016 with Sergey Kislyak, then the Russian ambassador to the US, and another with the head of a Russian state-owned bank that had been sanctioned by the US. John Kelly, the White House chief of staff, had vowed to improve the handling of security clearances in the wake of the Porter controversy. 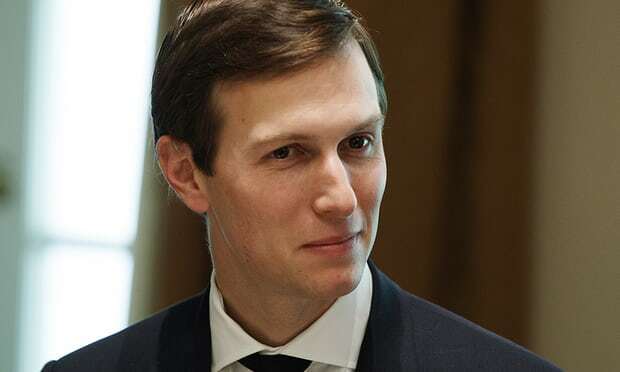 A former spokesman on the US national security council, Tommy Vietor, posted on Twitter that Kushner would now find himself cut out of top-level intelligence discussions. “Kelly has effectively cut him out of most foreign policy discussions,” he tweeted. Congratulations @scarates! You received a personal award!